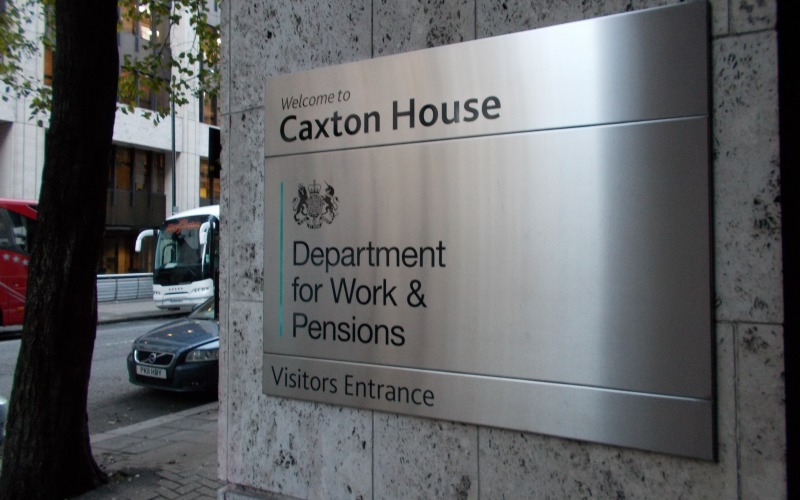 A Department for Work and Pensions (DWP) whistleblower has described how a “mismanaged” and under-funded social security system is leaving many disability benefit claimants penniless and helpless. George* works on DWP’s employment and support allowance (ESA) helpline and has told Disability News Service (DNS) that the experience has left him shocked and frustrated at the deeply flawed system. And he also says he believes – although he does not have direct evidence of this – that DWP decision-makers do have targets for the proportion of claimants that they need to find “fit for work”, and so ineligible for ESA. A colleague in another part of DWP, who works with a decision-maker, told him that this member of staff “hates his job” because he has to “disallow people” and had been “struggling to hit his disallowance targets”. Although DNS has been unable to verify this claim, disabled activists have been warning for years that they believe DWP decision-makers, and the healthcare professionals who work for the government contractor Maximus, are set targets for the proportion of claimants they must find fit for work. But DWP has continued to deny imposing any such targets and no-one has been able to provide strong evidence that they exist. George says he believes such targets do exist, although he cannot prove it. “I think decision-makers are trying to meet targets,” he says. He believes the same reason explains why so many mandatory reconsiderations – DWP’s internal review, the first stage of the appeal process if a claimant wants to dispute a benefit eligibility decision – are unsuccessful when the success rates of appeals at tribunals are so much higher. Meanwhile, there are many concerns that he has raised for which he has does have his own direct, troubling evidence. The lack of resources – and the “antiquated” system – can leave desperate claimants waiting well over an hour on the telephone for their call to be put through to an adviser. George says: “Every day you think to yourself, ‘how can this possibly be happening?’ But it is. He says the problems with the IT and telephone systems used by DWP to deal with benefit claims are getting worse. “We were just talking about this in the office last week. We have noticed an increase in customers being shafted,” he says. He says there is a reason for this anger and aggression. “Some of the decisions made, the way they are made, are driving people to become more and more aggressive, more and more frustrated and angry,” he says. He believes that many of the problems are caused by ingrained flaws in the system for dealing with the evidence that claimants need to send by post, such as doctors’ letters or reports from consultants. The way the system should work is that this evidence is opened at one of several huge mail handling sites and then scanned into the system. An electronic alert – a “ping” – is then sent to the relevant benefit centre to alert staff that they need to look at that piece of evidence. But George says that this system frequently breaks down, particularly at times when a large number of “pings” have been sent to a particular benefit centre in a short space of time, which means some pieces of evidence fall through the gaps and are not looked at. One such occasion saw an ESA application – submitted by a woman with terminal cancer who only had a few months to live – fall into what he calls a “black hole” for six months because the relevant benefit centre had not responded to the “ping”. And he says that certain benefit centres have a reputation for incompetence, while others appear to work smoothly and efficiently and rarely cause problems for claimants. He says he did not even know there was a benefits centre in St Helens until he was four months into his job, because he never received calls from claimants who had been dealt with by that centre and were having problems with their claims. He says he was not surprised to hear of a case reported last month by DNS, in which a long-term disability living allowance claimant received a mandatory reconsideration notice – turning down her appeal – before she had even received a decision notice telling her that her claim for the new personal independence payment had been rejected. Another key issue that he faces daily is when claimants ring him for help because they have not received appointment letters or ESA questionnaires and – as a result – their claim for ESA has been terminated by DWP because they failed to reply. He says that many letters setting dates for face-to-face assessments or enclosing the questionnaires – which are supposed to be sent out by Maximus – never arrive. He frequently hears from claimants who never received the initial letter, or a follow-up letter, but do receive a subsequent letter that tells them their claim has been terminated. Again, he cannot prove that the original letters are not being sent out by Maximus, but he says there are frequently “clusters” of cases in a particular geographical area of claimants who say their letters never arrived. Asked if he believes this is a deliberate attempt, either by DWP or Maximus, to cut the caseload – and therefore spending on ESA – he says: “I don’t know, but it has crossed my mind, without a doubt. “It’s really strange that someone wouldn’t get a letter inviting them to attend a WCA, or their ESA50, but they do get their decision notice. “I can’t remember the last time I didn’t get my hospital appointment, birthday/Christmas cards, bank statements, etcetera. “Yet, 1000s of people a week aren’t getting the post that means their ESA benefit can function. George says he deals every day with cases of sick and disabled people who have been left with no money to survive on because of the flaws in the system. DWP stopped providing community care grants and crisis loans in 2013, transferring responsibility for new local welfare assistance schemes to local authorities in England and the devolved governments in Wales and Scotland. But research carried out soon after the changeover found that funding for the schemes had almost halved compared with 2010, while many councils were no longer able to provide interest-free emergency loans through their schemes, with many replacing cash grants with benefits such as food bank vouchers and pre-paid store cards. Charities working in the field have not been able this week to update DNS on the current position with the funding of local welfare assistance schemes. But George says that reduced support from these schemes, combined with the flawed system he has to deal with, means he is dealing three or four times every day with people who are left with no money as they try to resolve their situation with DWP. “With people in certain areas, you just have to say to them: ‘There isn’t anything,’” he says. He tries to help by providing details of local welfare advice agencies and support services, but he says he is often left in despair at the situations he has to deal with. George says: “I joined the DWP with a totally open mind as I’d never worked for a government department before, and up to now the people I work with are some of the most dedicated I’ve ever come across but the systems they have to work with, the rules they have to work under, and the situations they are asked to deal with, are so obscene it beggars belief. He says the continuing roll-out of universal credit “will drive more and more people into a very deep hole” because those who previously would have received ESA will now be paid monthly rather than every two weeks. “This is a cruel, inhumane and pointless exercise. We will have desperate people with medical conditions, with children, facing down the barrel of a penniless Christmas and not a single drop of help coming forward from HM Government. He adds: “Text me on a random day next week and ask me for my ‘nightmare of the day’ and I bet you I can tell you something absolutely shocking. “Friday’s nightmare was that Newport service centre had just two people processing messages, so they weren’t calling customers back… messages were being sent through to them but none were being answered. “Caerphilly benefit centre had one person working on the messages from customers that are passed through people like me. After being shown the interview with the whistleblower, a DWP spokesman said: “There’s no evidence to support these claims, which are completely unfounded. “We’re very clear that we don’t have targets to find people fit for work, and never have. “Each year we make hundreds of millions of payments to 18 million customers, the vast majority of which are paid correctly and without incident. But George said: “I’d encourage whistleblowing and would do it without an issue if I became aware of illegal activity by DWP colleagues. “But what I have talked about here is either an open secret or DWP policy so there is not much point in me making a report.